At The Growth Coach, we work with clients and companies to help them build stronger businesses and better lives throughout the year, but since January is a great time for resolutions, we thought it we’d come to you with a set of Growth Coach challenges to get 2017 off to a great start. When you make a resolution on New Year’s Day, it’s with the glow of a brand new year ahead. Whether your resolution is about your career – maybe breaking out on your own as an entrepreneur or earning that pay raise – or about your life, family or personal wellness, sticking to it means creating an action plan and holding yourself accountable. If you’ve created lofty resolutions for 2017, set small goals throughout the year to help you get there and to track your progress. Another tip: Go into the calendar on your phone and set reminders about your resolutions to keep you on track along the way. Even if you love your business, working 24/7 will drain your enthusiasm, make you less productive and, eventually, turn your sights elsewhere. Challenge yourself to focus on balancing your life and making more time for yourself and your family. If you’re a business owner, this means looking at the tasks you do each week, evaluating which ones are the highest priority and find ways to delegate the others. This blog we published in 2015 has some great tips on figuring out which tasks you shouldn’t be doing: https://growthcoachblog.com/2015/11/05/time-is-money-learn-to-let-go/. Being your best and building a successful future means having the right mindset. If you can’t see yourself as a successful business owner and you don’t have a vision for an amazing business, how can you get there? 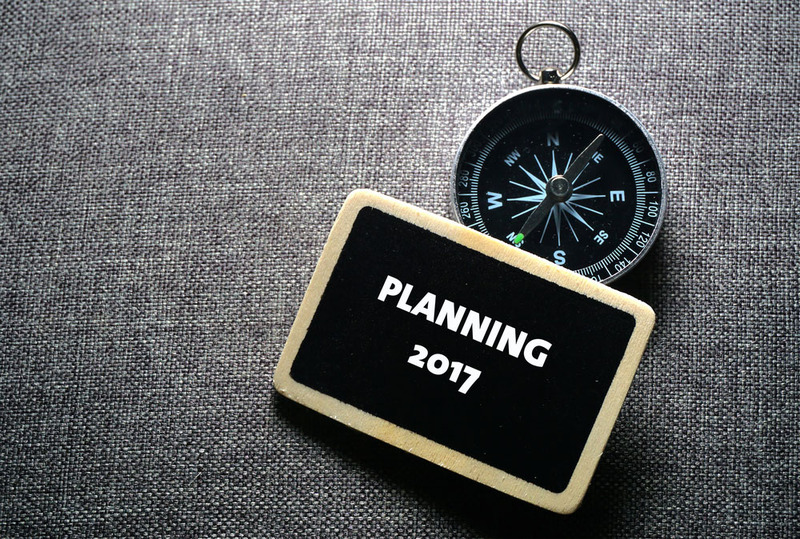 For 2017, set aside time to create bold goals and dreams and get serious about focusing on them. As we said in a blog a few years back, you can’t get comfortable with good enough: https://growthcoachblog.com/2014/11/13/business-owner-dont-get-comfortable/. Many of us already have eating better or getting more exercise on our list of resolutions, so at The Growth Coach, we want to challenge you to think about your mental health. The stress of being a business owner or company leader can take a real toll on your mental (and, subsequently, physical) health, so taking care of yourself needs to be on your radar. Be sure to set aside time to recharge your emotional battery, whether that means taking a vacation with your family or finding a few hours to do something you love each week. Make yourself a priority in 2017. This entry was posted in Business Coaching and tagged 2017 business, balance, business, business blog, business coach, business coaching client success, business owner, business owner emotional management, business owner leverage, business owner mindset, business owner roles, business resolutions, business systems, business tips, delegation, entrepreneur, Growth Coach, leadership, small business, small business leader, small business management, strategic mindset, strategic thinking, work life balance. Bookmark the permalink.